When you take a look at the street network of Footscray, everything looks much like many other inner Melbourne suburbs – a network of narrow streets lined by terrace houses. But if you take a close look next door to the Footscray Park campus of Victoria University, you’ll see something quite different. It’s a sea of car parking. The car park has spread south from the university campus on Ballarat Road. And then taken over the adjoining neighbourhood. 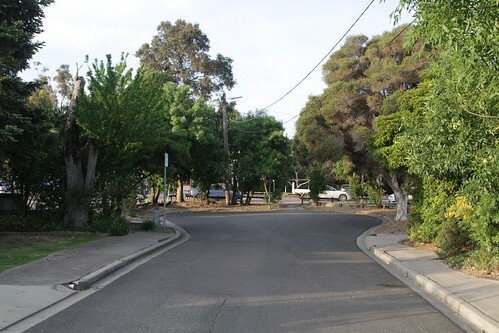 The original street network still remains, complete with footpaths and streetlights. 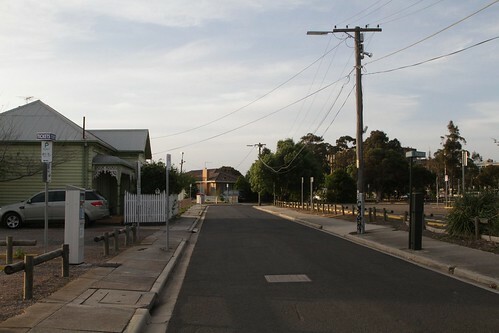 But bollards and ticket machines have replaced the houses. Except for a handful of holdouts who refuse to sell. The three remaining houses are easily spotted when the land titles of the area are examined. Much like the nail houses of China. 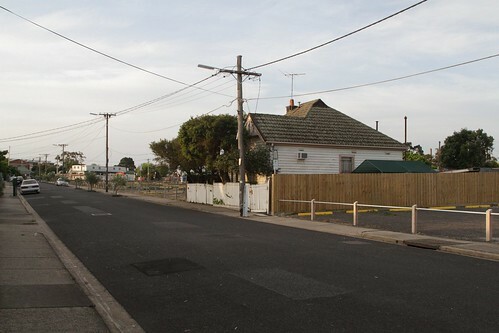 These houses of Footscray have car parks either side. And across the back fence. 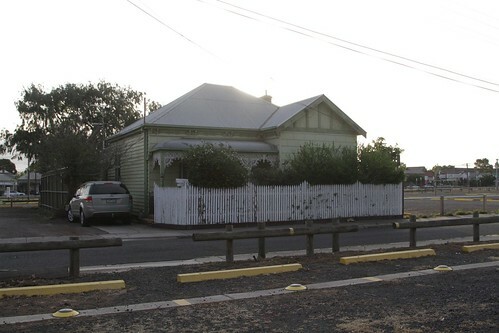 Houses along Geelong Road are still being acquired to expand the car park. With no block too small to turn over to parked cars. But the residents of Federal Street are yet to fall victim to the advancing cars. 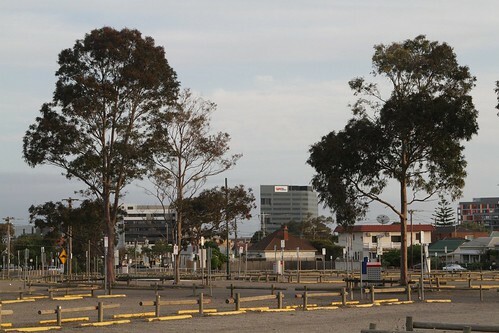 In 2015 the northern edge of the car park was closed to make room for the ‘[email protected]’ student accommodation complex. 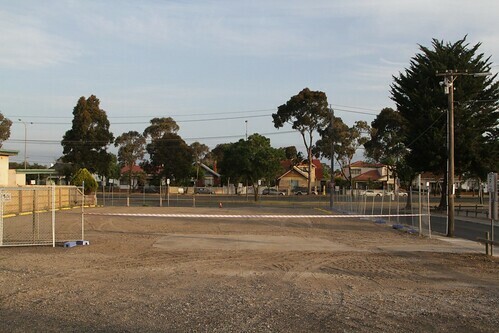 With work starting on sealing the rest of the gravel car park. 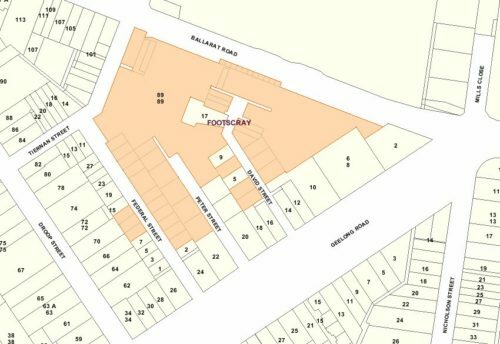 But with high density development of Footscray taking off, replacement of the car park by more apartments is the most likely outcome. 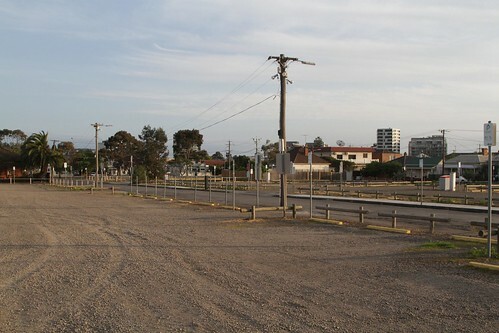 Or it was, until the October 2018 announcement that the State Government would spend $1.5 billion to build a new Footscray Hospital on the car park site. 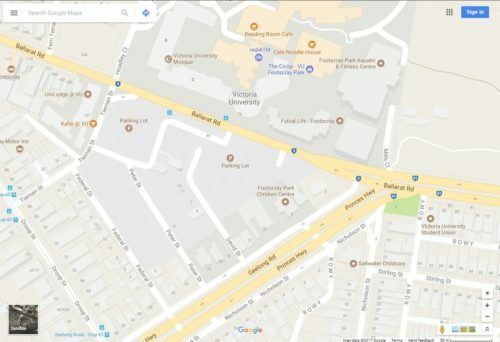 Footscray’s crumbling hospital would be rebuilt opposite Victoria University’s Footscray Park campus under a $1.5 billion election pledge by the state government. Premier Daniel Andrews announced on Sunday that a returned Labor government would fund a new 504-bed hospital that could accommodate an extra 20,000 emergency department admissions and 15,000 patients each year. 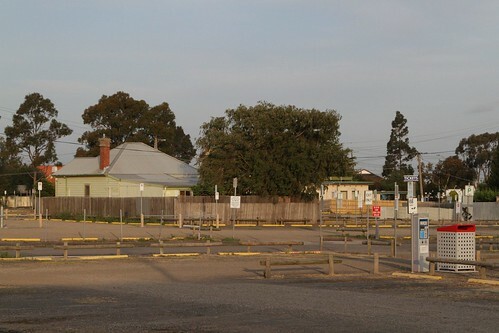 The new hospital would be built on the corner of Geelong and Ballarat Roads, a site chosen from a shortlist of three locations including the current hospital site on Eleanor Street. Construction would begin with two years and the hospital would be open by 2025. But will the slow and infrequent route 82 tram be upgraded to cater for the extra passengers – I doubt it! 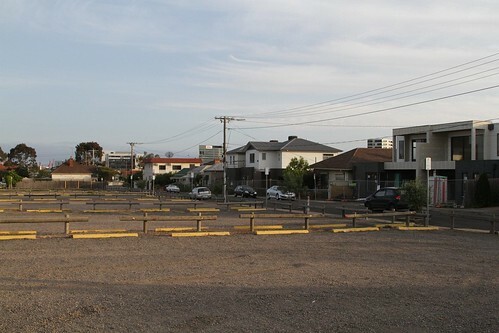 At Victoria University in Melbourne, where I worked, car parks have slowly swallowed entire blocks of residential properties save for one or two isolated outposts; in one case, a house, a shed and a garden surrounded on three sides by a vast concrete wasteland, divvied up for hire at $10 an hour. Handwritten signs hang on the fence, chastising users for noise, rubbish, graffiti. Part of me can’t imagine who would want to continue to live with such inhospitable surroundings – a sentiment I’m sure developers exploit as often as possible – but another part of me thinks, if this place were the product of my hard labour, if this was where I had made my home, I probably wouldn’t want to leave it either. Despite all the parking apparently some staff at the Uni join the bowls club as premium members so they can use the parking there! And I’m guessing the cheap beer at the bowls club is a nice bonus! 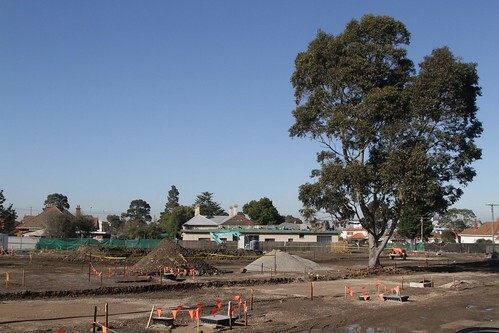 A similar process of acquisition of land for car parking, followed recently by development, has taken/is taking place between Caulfield Racecourse and the railway (to the north of the racecourse and south of the railway), however it is all planned to be developed (some is already done, anther big chunk is being done at the moment and more is to follow). 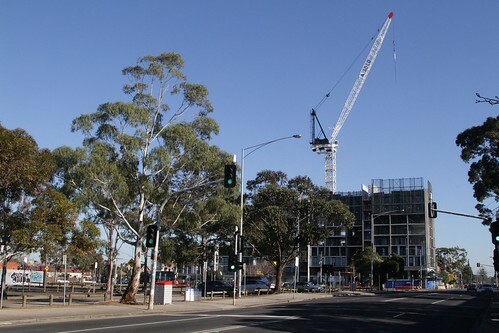 Monash University at Clayton had the luxury of being able to acquire one large property and having it lie dormant for years before eventually developing it. 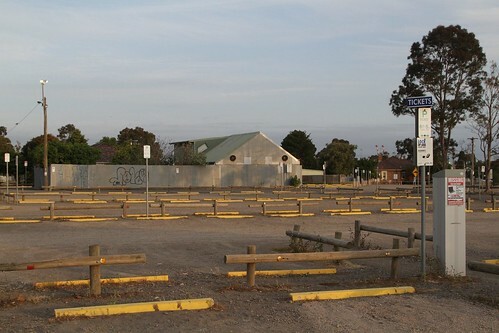 In this case it was the former Metro Twin Drive In Theatre on the corner of Wellington and Blackburn Roads which operated as a Village twin drive in in later years before closing in 1984. 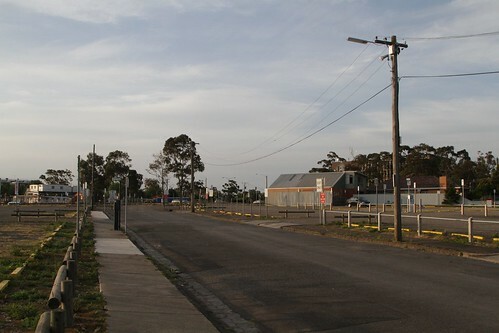 From the next 30 years it was used as free student parking as opposed to the on site parking that required a permit with the floor slab of the snack bar (demolished in the 1990s), open drains and a few light poles as reminders of its former use until the Australian Synchrotron was built on site opening in 2007. 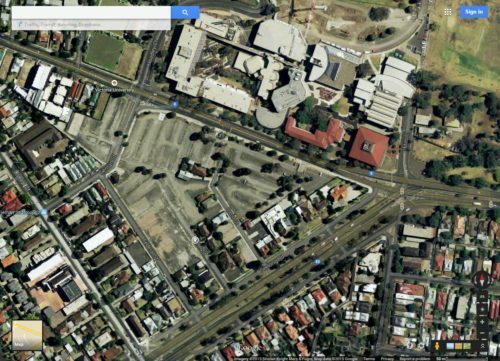 Apparently, before the site for the Clayton campus was settled on, there was a proposal to put Monash where Caulfield Racecourse is, which would have gone well with Monash later taking over what is now its Caulfield campus. 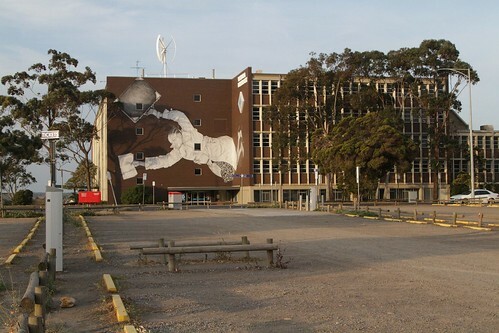 Correct – one of several options considered for Melbourne’s second university. 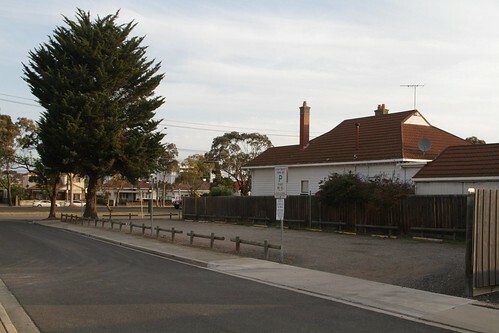 Another was Huntingdale Golf Club which also had the benefit of being near the railway. 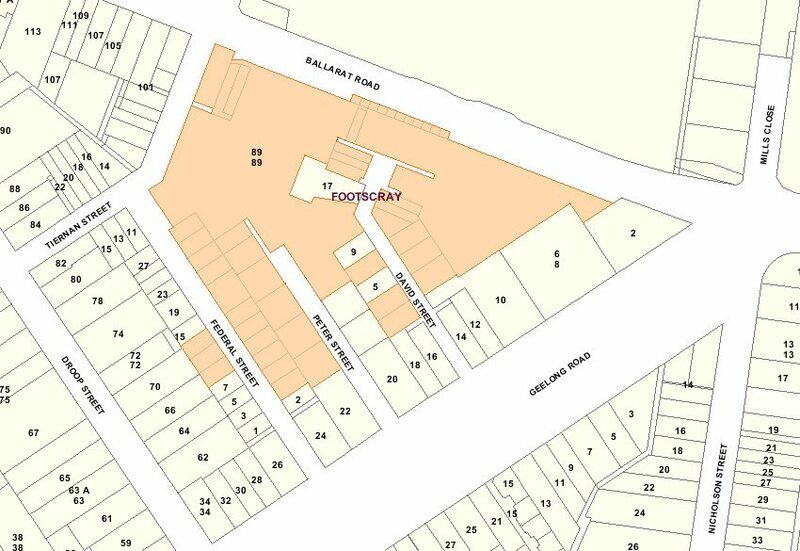 In the end all rejected with a larger site granted on the former Talbot Colony for Epileptics in 1959 with patients transferred to new facilities at Kew. It’s a pity that both Monash and La Trobe University were built close to railways, but not adjacent – car-based planning ruled supreme from the 1950s!